After helping some actor friends shoot scenes for their reels last summer, she realized one of the sets they used, an interrogation room, would make the perfect setting for King’s short story “In the Deathroom.” She optioned it for one dollar and got busy writing the screenplay. 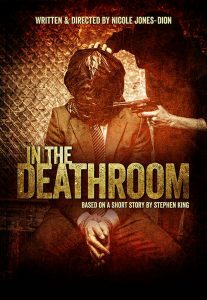 “In the Deathroom” is about an American journalist who’s captured by a South American dictatorship after his sister is killed. 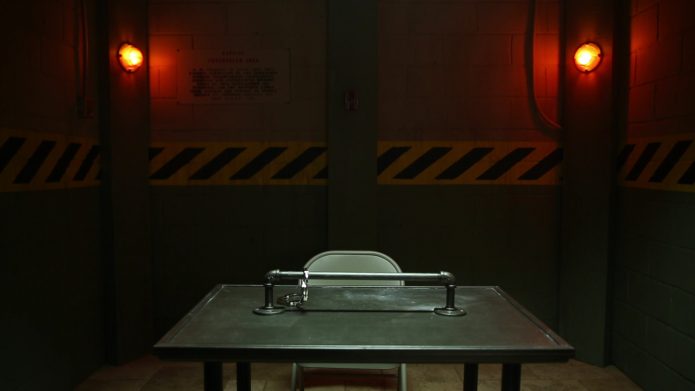 Taken to the “death room” to be interrogated, the journalist knows he must go to desperate measures if he wants to leave the room alive. Sometimes it takes a writer to help another writer out. But before you pull out that crisp George Washington, Jones-Dion says, “It’s an amazing program but there are a ton of restrictions, and the selection of short stories changes constantly.” Some of those restrictions include not being able to profit from the film – at all! And you only have one year to show it at festivals. But that’s part of the appeal. “There’s been sort of a cult status around these Dollar Babies since they are so ephemeral,” says Jones-Dion. As of March 15, they’ve raised $19,898, so things are looking good for the filmmakers. While Jones-Dion says this is a great opportunity to work on a story conceived by the master of horror himself, she has a bigger goal in mind: she wants to work in the horror genre, a genre women are typically excluded from. 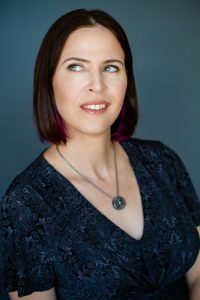 Jones-Dion became interested in horror after writing mostly historical screenplays where, “Everyone dies at the end.” But historical films are notoriously difficult to get made, mostly because they are so expensive, so she decided to ditch the history and embrace the death in a pivot to the horror genre. She finally feels like she’s found her niche and gives much of the credit to ScreenwritingU. Are you interested in making a Dollar Baby? Visit Stephen King’s website to learn how. 3 Replies to "ScreenwritingU Alum Adapts Stephen King and So Can You"
I’m adapting one, too! We shoot next month. Yeah, I’ve known about this for years. But the stories I wanted to adapt had already been done by others.